This ambitious, adventurous and demanding expedition is one of the most successful mounted by the Army Cadet movement following two years of planning. 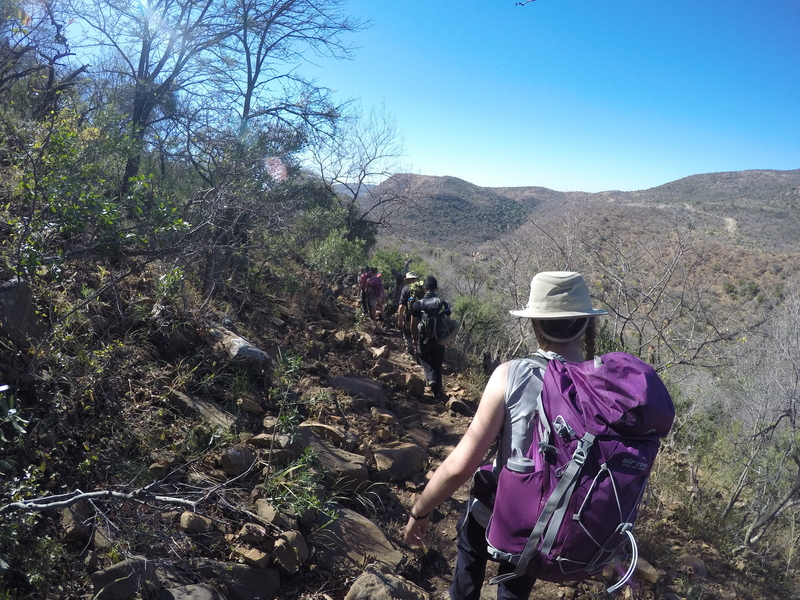 It comprised of two independent groups sub-divided into the three AT activity teams – the Tugela River descent and the Drackensberg and Zulu Trail treks. The ethos of each activity was that the cadets should be fully involved in all decision making so that by the end of their trip they would be working autonomously. The aim was to make all cadets into independent travellers. Expedition members were drawn from all over the UK and consisted of 52 cadets and 26 adults. They passed a selection event and two week-long training events. The trekkers gained the Summer Mountain Foundation award and the paddlers gained the Kayak and Canoe Two-star Foundation awards plus civilian BCU 2 -star award. Thirty cadets gained the Gold DofE Residential element. Once in South Africa training in bush living skills including lighting fires, field cooking fresh rations, tracking and trekking skills plus AT activity specific training commenced. This was followed by the 5-day expedition. The Drackensberg Trek. 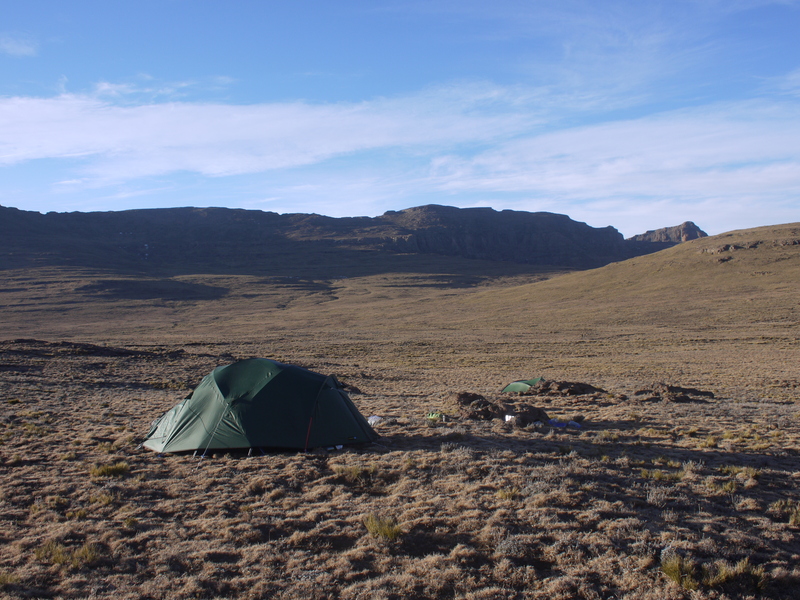 Team 1 traversed the Southern Drackensberg camping high on the plateau. With deteriorating weather forecast the decision was made to vacate the plateau early on the fourth day. They awoke to very strong winds and descended to the intended campsite near the Giant’s Cup Path. In 70mph winds a cadet suffered an asthma attack which did not respond to medication. The cadet was successfully carried to the road-head, taken to hospital and later made a full recovery. Team 2 had to follow an alternative route due to the large amount of residual snow and ice cloaking the plateau and choking the top sections of the passes 18 days after the storm. Despite this the route completed was a challenging one including an ascent of the Devil’s Knuckles (3,025m) on Day 3. 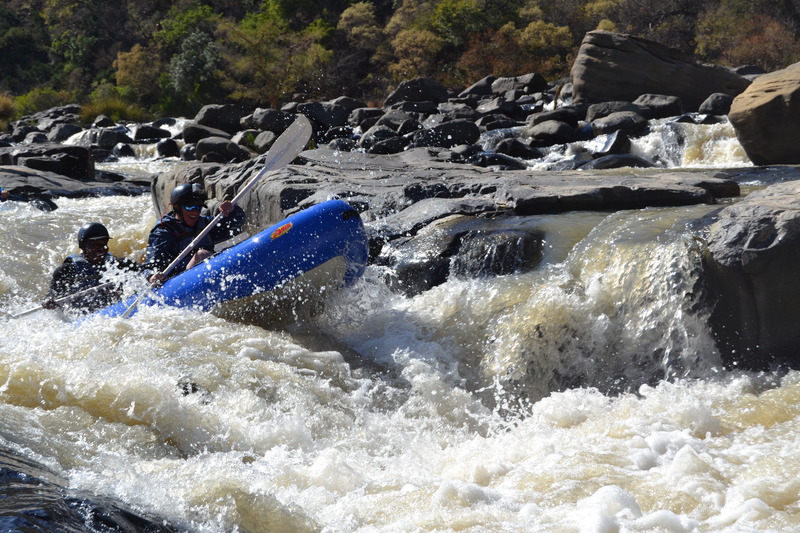 The Tugela Descent (The paddlers). Both teams deployed from Zingela and followed the same route. Paddling was restricted to 1030hrs-1500hrs because of the ‘cold air sink’ that affected the gorge resulting in temperatures as low as -4ºC. The limited ability to carry personal equipment meant the groups slept under the stars. All cooking was done on open fires. Inflatable 2-man Crocs were used and were better suited to descend the Grade 3 rapids in the relatively low water conditions than kayaks or canoes. 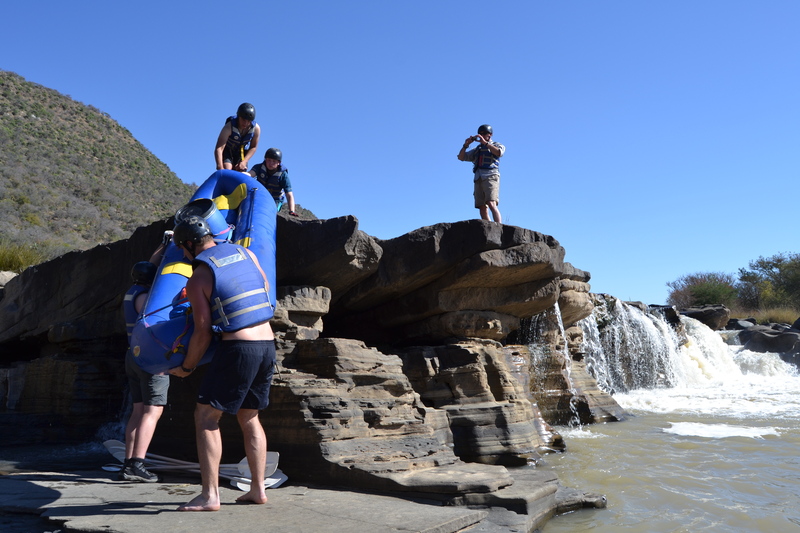 A larger support raft was used to carry the stores and two South African river guides paddling kayaks provided safety cover on the rapids. 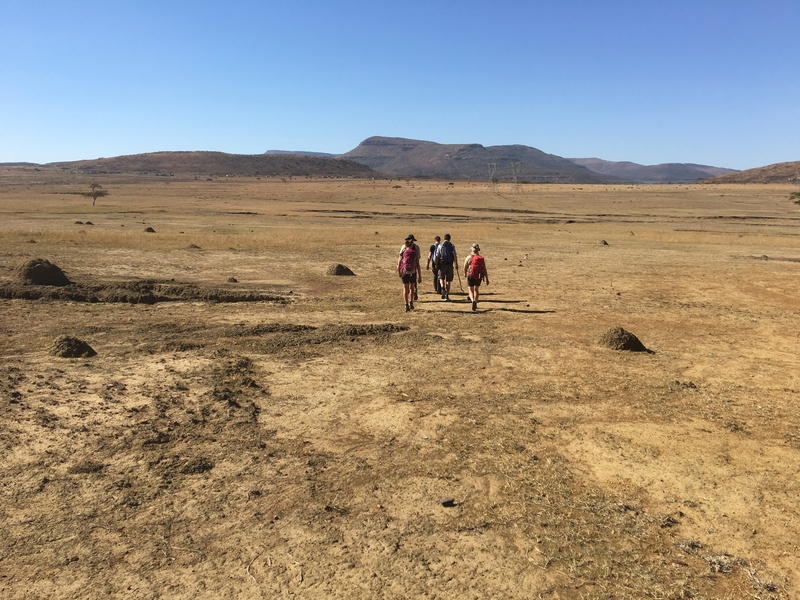 The Zulu Trail Trek had been created especially for this expedition and it was the first time that anything like this had been done in South Africa. 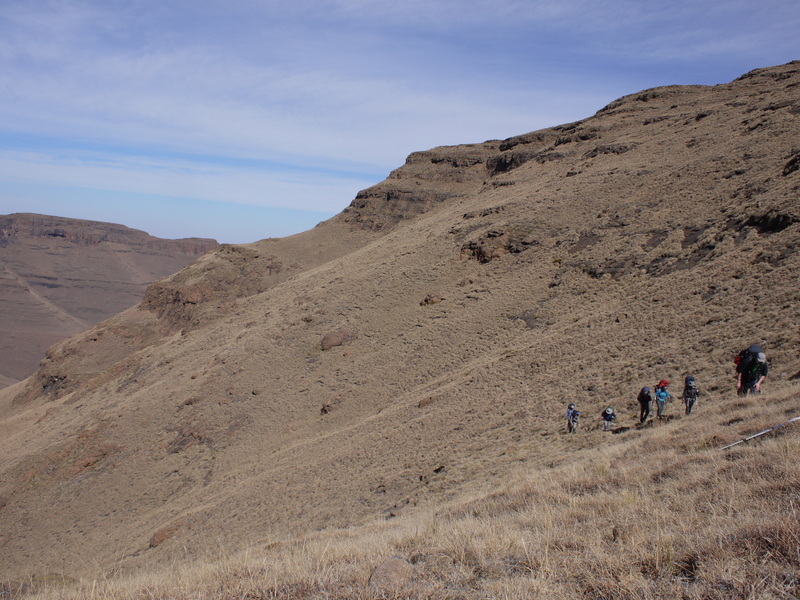 The trail followed herder’s tracks and campsites were near to Zulu villages. It required much liaison with the local communities. Two local Zulu guides ensured that the Trekkers did not accidentally upset local customs. The trek created an enormous amount of regional interest and could be a blueprint for similar trails throughout South Africa. The routine for each day was the same. Before sunrise fire lighting and cooking breakfast followed by striking camp. 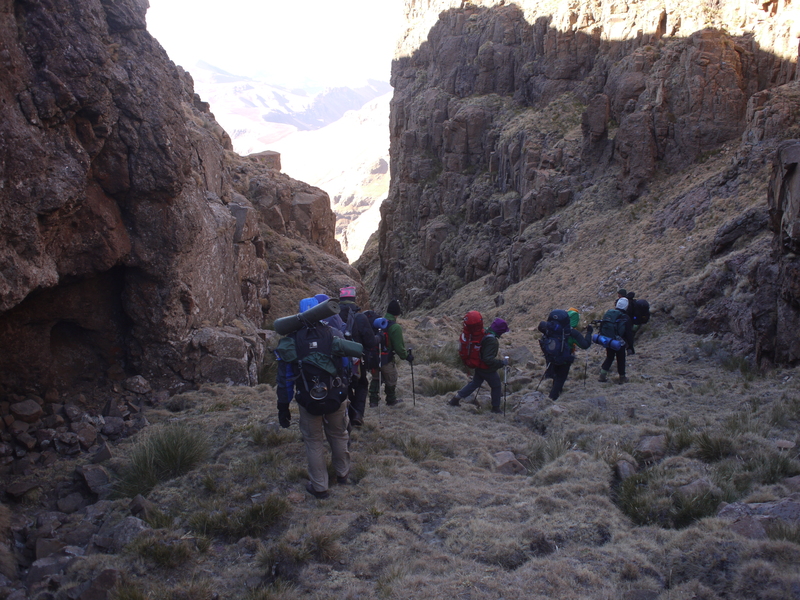 The ‘day leaders’ would navigate the group throughout the day arriving at the evening camp site by late afternoon. Fire lighting and cooking the evening meal followed then a debrief and planning for the following day. The Zulu reaction to the sight of white people walking and not travelling by car plus visiting their communities was one of initial bemusement. Friendly greetings quickly followed. They were pleased that outsiders were taking an interest in their way of life. It was the first time that white people had been in their villages. One talented cadet met a recording artist, who is widely known in Central and Southern Africa. An invitation for the cadet to record his own track was offered and a few days later he recorded his own track in a studio in Durban. It has been mixed with a Zulu backing group and released as a single. The inter-community benefits of this trek will be very long lasting. Following a short tour of Isandlwana and Rorke’s Drift battlefields conservation training near the coast undertaken. The expedition finally dispersed when it arrived back into the UK. The very exposed campsite near the edge of the plateau at the end of Day 3 of the Drackensberg trek. This site was buffeted by 70mph winds shortly before sunrise heralding a big change in the weather, which resulted in the team descending from the plateau rather than continuing the original route. Group 1 make the initial steep section of the descent from the plateau. Whilst this was sheltered from the severe winds the temperature was well below freezing. The Drackensberg team from Group 2 ready for the off. 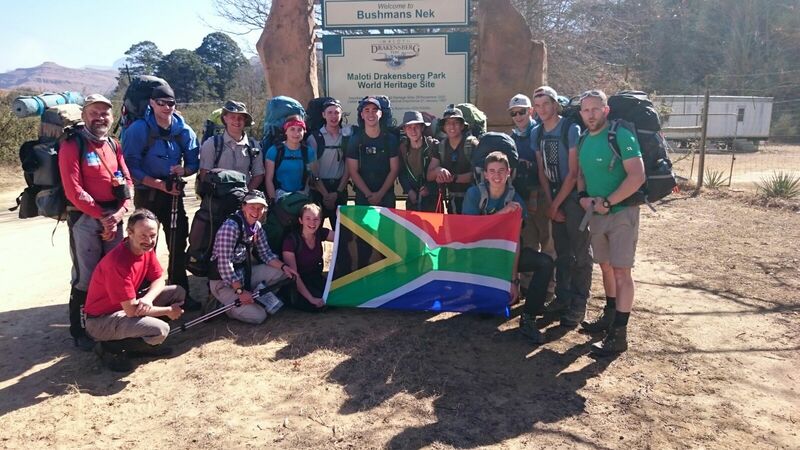 The Drackensberg team from Group 1 ascending Walker’s Peak on Day 3 of their five-day trek. 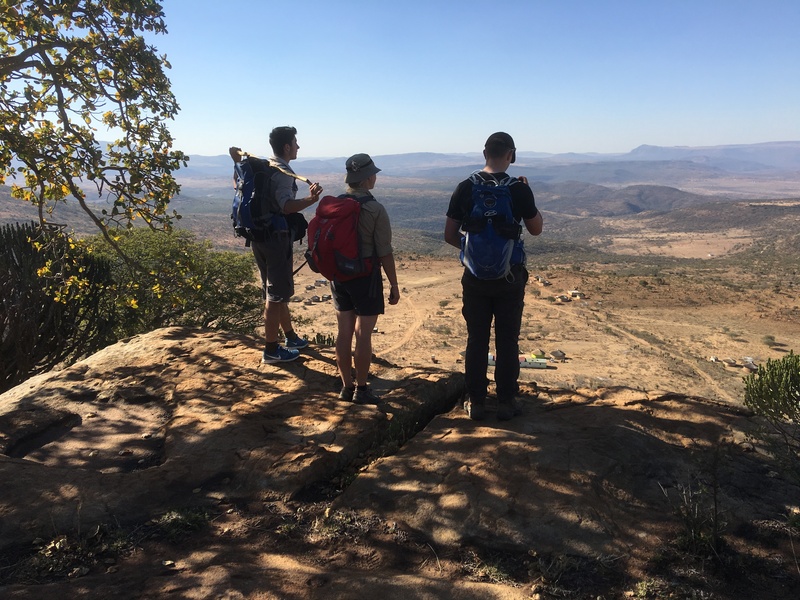 The day leaders for Day 4 undertake a visual recce of the route they are about to lead the Group 2 Zulu Team along. A goat track that was typical of the type of path used by the Zulu Trail Group when traversing Zulu Land from Zingela to Elandsheim. Hot temperatures, blazing sun and no shade made this section of the Zulu Trail hard work. Often the Zulu Trail team would stay in the shade during the middle of the day to avoid the potential danger from heat illness.